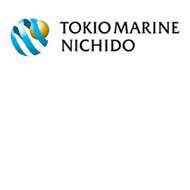 TransPacific Insurance Company is a subsidiary of Tokio Marine and Fire Insurance Company, Ltd. based out of Tokyo, Japan. Although Tokio Marine and Fire Insurance Company have been in existence since 1879, TransPacific Health Insurance has only been selling insurance since 1982. TransPacific Insurance Company is authorized to underwrite policies in all of the United States except New Hampshire, Vermont, New Mexico, and Louisiana. However, its parent company with the help of its subsidiaries, can underwrite insurance policies in 38 different countries. Travel insurance is also available for purchase. The plan offered is known as the “Health Care Supreme” and covers medical expenses such as emergency care, hospitalization, surgery, and home healthcare. A complete list of benefits are available on the website including the two different riders you can add to your policy to increase your hospitalization coverage and annual limits. The plan is sold in Malaysia and to individuals until the age of 60. However, the plan is auto renewable up to the age of 80. You can email the company for additional information at [email protected] or by calling 603-2059 6188. TransPacific Insurance Company Cancer Shield is a medical policy, which provides additional coverage should you be diagnosed with cancer. Individuals up to the age of 65 are eligible. The policy is auto renewable until the age of 75. Benefits are available for further review at http://corporate.tokiomarinelife.com.my/index.php?p=contents-item&id=721 or you can call 603-2059 6188 to receive additional information. TransPacific Insurance Company agents are all independent agents and brokers who sell TransPacific Insurance plans. All of TransPacific Health Insurance claims are handled by Tokio Marine Management, Inc. You can file a claim on www.tokiomarineclaims.com or by calling (877) 567-7486. Once the claim is filed, you can view the status on the company’s website by establishing a login for yourself under the Meet section. All claims are reviewed for fraudulent activity and investigated if deemed necessary. You can also email the company at [email protected] or [email protected]. Simply click on the position that interests you to review the job qualifications, requirements, and duties. If you are interested in any of the open positions, you can click on the link to apply. Once you have applied, your information will be sent to GreatInsuranceJobs.com. TransPacific and its parent company are in contract with GreatInsuranceJobs.com to screen all applicants before sending them on an interview at TransPacific. For a complete list, visit the company’s website. There are also local organizations that TransPacific is involved in helping. Some of these include Pasadena Young Musicians Orchestra, New Jersey Intergenerational Orchestra, and the Hell’s Kitchen Cultural Center, Inc. The company also participates in local charity events like the Chicago Cares Serve-a-thon, Coastal Cleanup Day, and New York Cares Day. There are additional charities listed on the company’s website. Due to the success of its parent company and group of insurers, TransPacific Insurance Company is rated “A++” by A.M. Best. Find and compare online health insurance quotes by entering your zip code into the free toolbox now!